Mary Luz Avendaño has worked tirelessly for 15 years as a human rights journalist in Medellin, Colombia; a country that has suffered over 50 years of internal armed conflict. She covers issues in Medellin that few journalists would dare to touch and as a result her work carries great personal risk. In recent months, she wrote about links that she had investigated between police officers and criminal gangs in Medellin. Consequently, she received several death threats and her security situation was such, that in August 2011 she had no option but to flee the country, leaving behind her mother whom she supports. This is not the first time that Mary Luz’s life has been at risk. In 1998, she was kidnapped by FARC guerrillas and was held for one week. 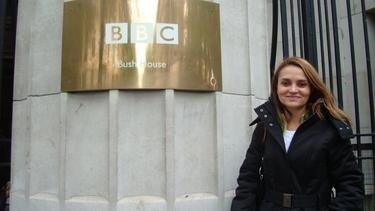 Despite these huge challenges, Mary Luz has remained undeterred in her work; she believes passionately that, as a journalist, she has a duty to expose the truth, speak out for those whose voices are not heard, especially the unreported violence against women, and in so doing, push for change in Colombia. It would be wonderful to officially recognise Mary Luz’s contribution to the promotion of peace and the struggle against violence, corruption and impunity inColombia. Other journalists, e.g., Garry Leech, Canada, have been detained by the FARC. He was released when it was realized that he was a journalist defending human rights in Colombia.